If you're north of the Los Angeles Basin in the hills, canyons and valleys of LA, here are the best fireworks shows, festivals and other events to celebrate the 4th of July in your neighborhood. When: July 4th, parking lot opens at 10 a.m., food court opens at 2 p.m.; stadium opens at 6:30 p.m., performances begin a 7 p.m., Fireworks at 9 p.m. Cost: $15-30, children 5 and under free in GA section. Children require a ticket in Reserved seating. Active Military with ID Free (up to 4 tickets per family), Veterans get 1 free ticket, available from the ticket booth near Gate B, doesn't include parking. Tickets are on sale at through www.ticketmaster.com, in the box office a week before and at the stadium on July 4 (cash only). Huge Fourth of July fireworks festival in the West Valley with food vendors, play zone, a free concert and fireworks show. When: July 4, Concert 6:00–8:00 p.m., fireworks to live music at 9:08 p.m. When: July 4, 10 a.m.–10:00 p.m., Fireworks around 8:30 p.m.
Music, rides and a line-up of food trucks, culminating in a fireworks show. When: July 4, Gates open at 4 p.m. and close at 8:30 pm, Fireworks at 9 p.m. Cost: General Admission $7 pre-sale, $10 at the gate, children 7 and under free. Rides extra. 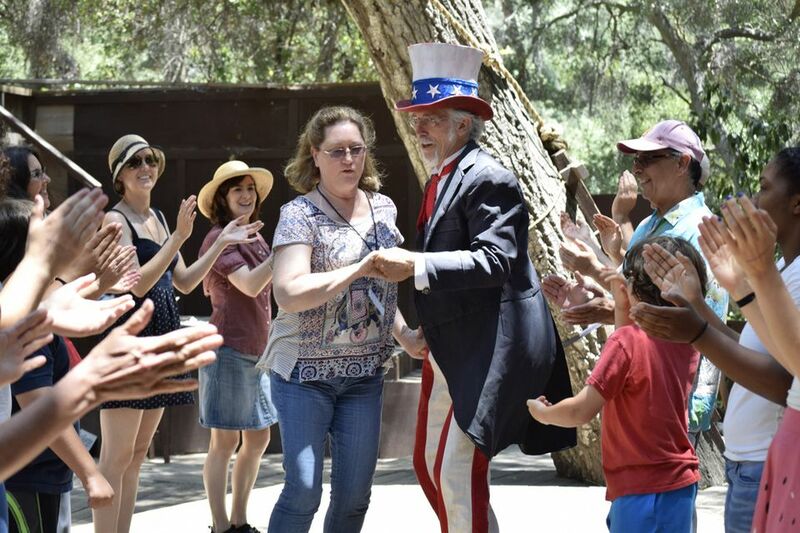 When: July 4, 4:00 p.m.–10 p.m., Gates open at 4 p.m.
Not one of the biggest events, but a lot of fun—an Old Fashioned Barn Dance and Barbecue will take over the woodsy cove at Will Geer's Theatricum Botanicum in Topanga Canyon for the afternoon on July 4th. There will be children’s games, a pie-eating contest, watermelon seed-spitting contest, cake walk, horseshoes, relay races, dunk bucket and more. Barbecue and fixins, beer and wine available for purchase. The fun ends at 5 p.m., so there's plenty of time to head out either side of the Canyon to find some fireworks or stick around for the performance of "A Midsummer Night's Dream." When: July 4, 11 a.m.–5 p.m., Barn Dance with dance caller at 1 p.m. and 3 p.m.